Part shadow play, part epic poem, part campfire story, join National Poetry Series winner GennaRose Nethercott as she performs from her narrative poem The Lumberjack’s Dove—animated by a 60 foot, panoramic shadow crankie by Vermont artist Wooly Mar. 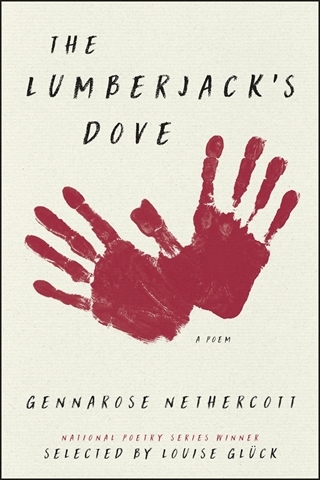 In Nethercott's otherworldly fable, a woodsman cuts off his own hand with an axe—only to watch it shapeshift into a dove. This striking image gives way to what Pulitzer-prize winner and former Poet Laureate Louise Glück calls, “a meditation on attachment, on loss, on transformation.” Joining Nethercott is LA poet and actor Jeremy Radin, author of Slow Dance with Sasquatch and Dear Sal. This evening with two vibrant, contemporary poetic voices is not be missed.